Definitely, it’s an omen for Mr. Valentine’s upcoming release (scheduled for February 2014), The Tribulations of Tompa Lee. The Star of Bethlehem signaled Christ’s birth. 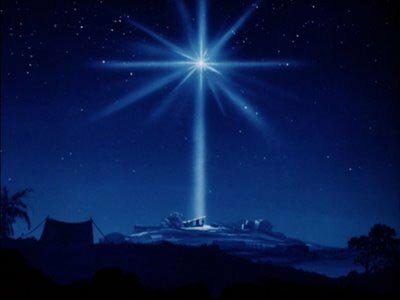 According to one version of the story, a new star suddenly appeared and guided the wise me to Bethlehem. A nova or supernova? Other versions claim that other anomalies such as an unusual alignment of planets might have guided the Magi, but nonetheless, an astronomical omen of some sort was responsible. Halley’s Comet (upper right) on the Bayeux Tapestry. 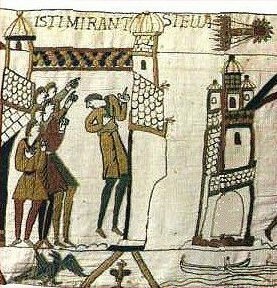 A millennium later, in 1066, Halley’s Comet was seen as a good omen for William the Conqueror. It is said that William felt the comet heralded his success, and thus the comet was embroidered on the Bayeux Tapestry, which chronicles the invasion, in William’s honor. And a millennium after that, Mr. Valentine is stunned to find his very own heavenly omen, henceforth to be called the Star of Tompa(tm). 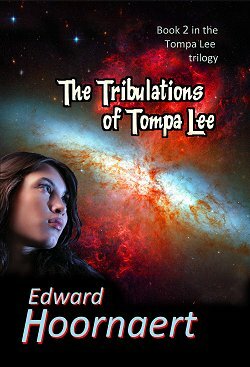 The Tribulations of Tompa Lee, with the Cigar Galaxy in the background. The galaxy in question is Messier 82, whimsically known as the Cigar Galaxy. In an article dated just a few days ago (January 22, 2014), Universe Today describes the sudden appearance of a massive supernova, which can be seen with by any amateur astronomer with a 4-inch telescope, though without the delightful (enhanced) colors on the book cover. While Mr. Valentine is, naturally delighted by this explosive celestial enthusiasm for the release of Tribulations, he wishes to apologize to the inhabitants of any worlds that formerly orbited the star in question. Furthermore, he declines any legal responsibility, either real or implied, for damages caused by the supernova to nearby planets. Complaints should be directed to my lawyers.